← Exploring the World & Re-inventing History: Frank Reade Book Giveaway! First of all, this month in the US is African/African-American History Month. Beyond Victoriana has done features relating to this event in the past (check out our stuff on Black Victoriana in 2010 and African/African-American Heritage series in 2011) and this year I want to spotlight a venture by Alicia McCalla: The State of Black Sci-Fi 2012 blog carnival. She along with several other writers talk about where they see black sci-fi right now and where it is going. There’s a lot of food for thought on all of the contributors sites; so please check them out at the link. Plus, a shout-out to Valjeanne Jeffers’ post on why she loves steampunk and Balogun, the author of the steampunk/alt- hist book Moses: the Chronicles of Harriet Tubman, wrote about why he hearts steam too. The annual Con or Bust Fundraiser is now open! Started by fans from the feminist convention WisCon to help raise money for people to color to attend SFF conventions, Con or Bust has raised thousands of dollars in support of a more diverse fandom since it started in 2009. You can read more about their history and go ahead and bid on some awesome stuff! Did you know that Steampunk Magazine #8 has just come out? Well, if you don’t have a copy in your hands right this second, you can buy one or download the issue from their website. A bit old, but the book Postcolonialism and Science Fiction is coming out, and i09 posted an excerpt from the introduction. I’m intrigued. Emilie P. Bush, friend of the blog, has a children’s book coming out on Feb 28th: Her Majesty’s Explorer. The illustrations are adorable, and you can see them in the book trailer below. Did you know that my intellectual comrade-in-arms Jaymee Goh is hosting a monthly series of interviews with people of color in steampunk? Already, she’s interviewed Native steampunk Monique Poirier, Maisarah Abu Samah, editor of the Singaporean steampunk anthology Steampowered, and author Stephanie Lai. Speaking of interviews, I recently did one with Decimononic about steampunk jewelry. At first, I was honestly puzzled why they’d request me, but Jose and Irene are both jewelers from Spain who are running a series of interviews that explores the various ideas associated with steampunk and art. So I end up talking a lot about the historical formation of subculture, cultural appropriation, and my love of Russian things. Check it out here. 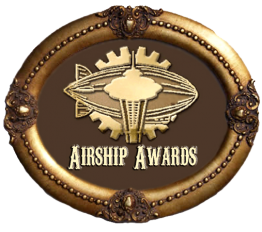 Great post, lots of information there for a steampunk fan. Kudos! You’re very welcome! I had really enjoyed your interview with Alicia awhile back about your book, by the way. I’m so late but thank you!! I tried to respond from my blog, but something loopy happened 🙂 BTW, awesome post!